A bit busy at the moment. Not enough brain space to write or even think about haiku. 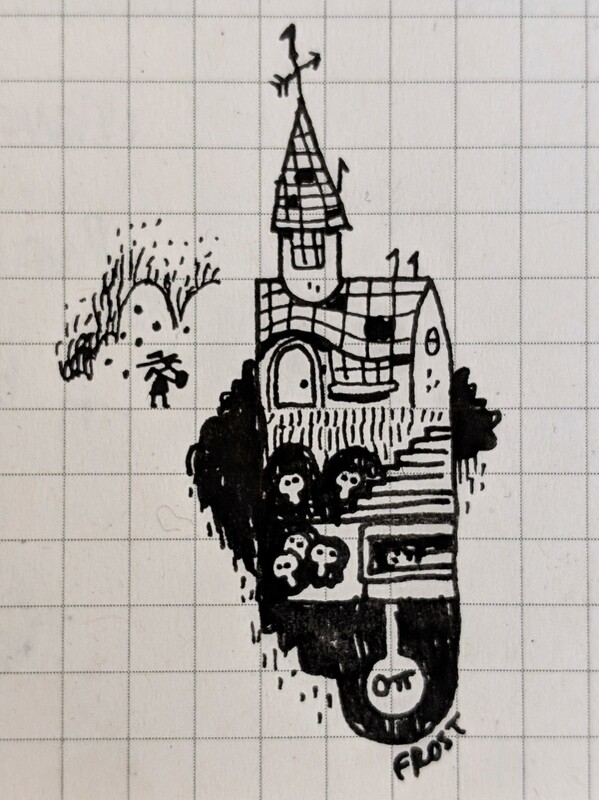 So here is a tiny doodle if a church crypt for no reason whatsoever.